Therefore we end up sewing Susanne cardigans for summer, but that’s not really a big problem in Belgium. ;) Isabelle is the first one to show her beautiful creations. That’s right: creationSSS! As always Isabelle made several items. 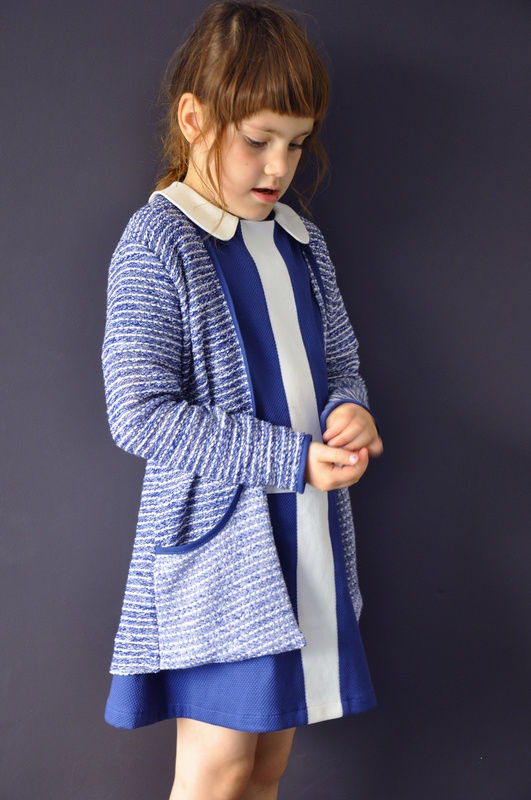 Two amazing Susanne cardigans and a mix & match dress to pair them with. 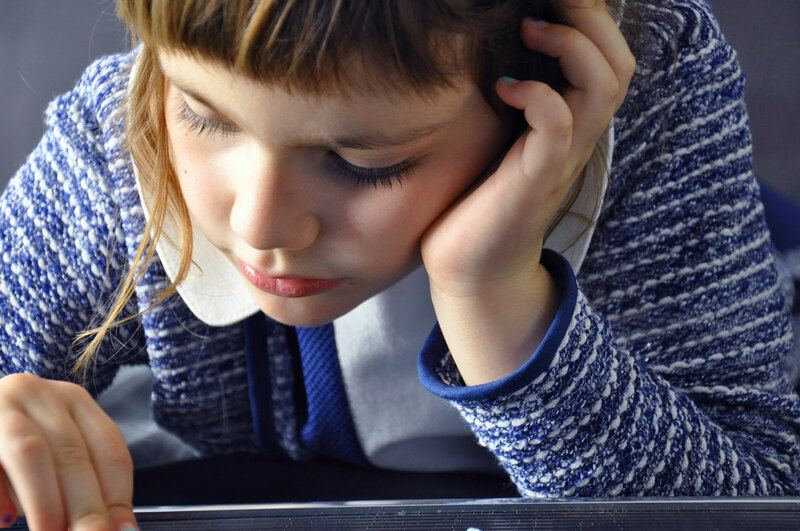 I love everything about this blogpost! Thanks a lot for the inspiration Isabelle!!! 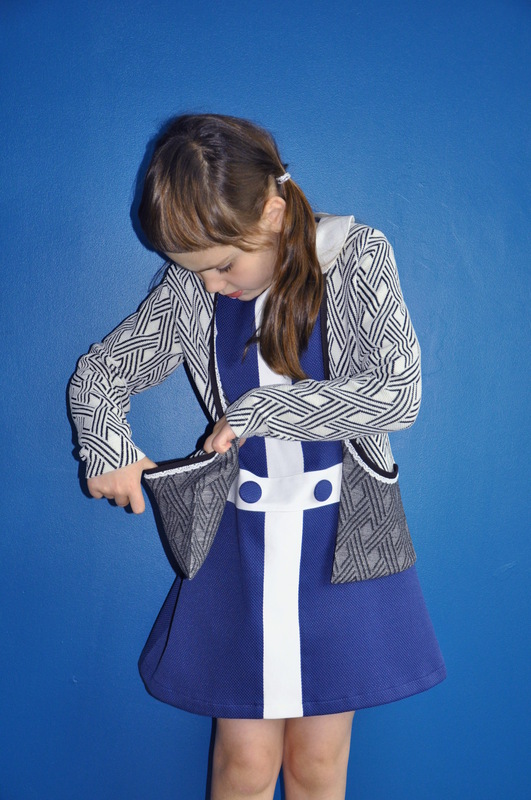 For our next challenge I made two Susanne cardigans matching a dress. 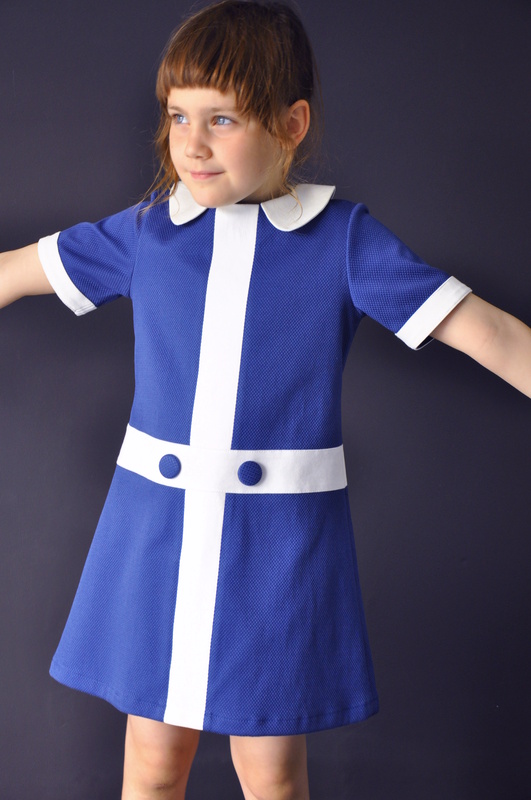 Inspired by my pinterest board I made a sixties dress for my little girl. By mixing two beautiful patterns : the Ileana Dress and the Louisa Dress ; I could recreate the vintage dress. For more information on the dress, check out my blogpost. Because she likes to choose, I made a short and long version of the cardigan. 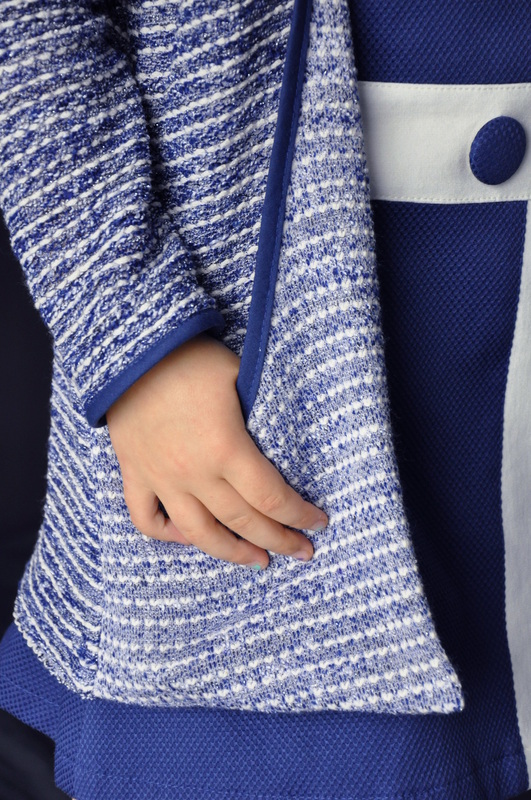 The fabric of the long cardigan is a blue woven knit with glitter silver. I finished the frontal seam with blue matching bias binding. The same one is used for the sleeves. 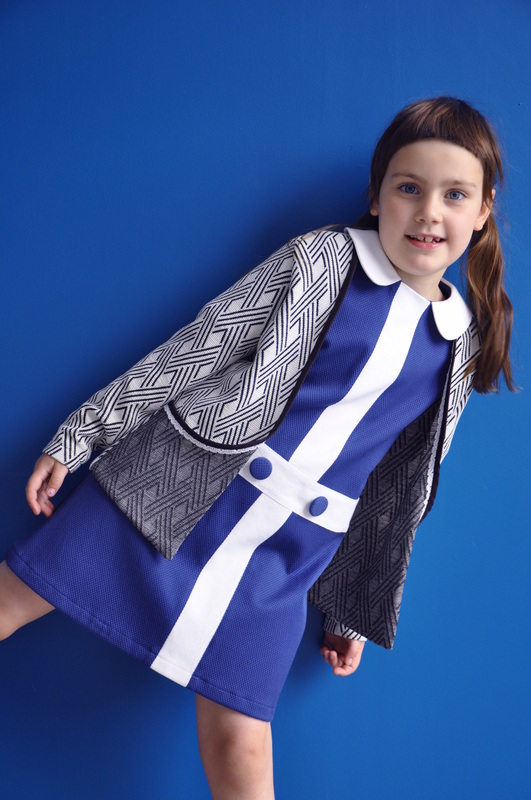 The fabric for the short version is a black and white jacquard knit with a geometrical print. My fabric packages (from one of my favorite online stores ) are always neatly binded by lace ribbons, so I used one here under the bias binding. It gives a nice detail to the cardigan. 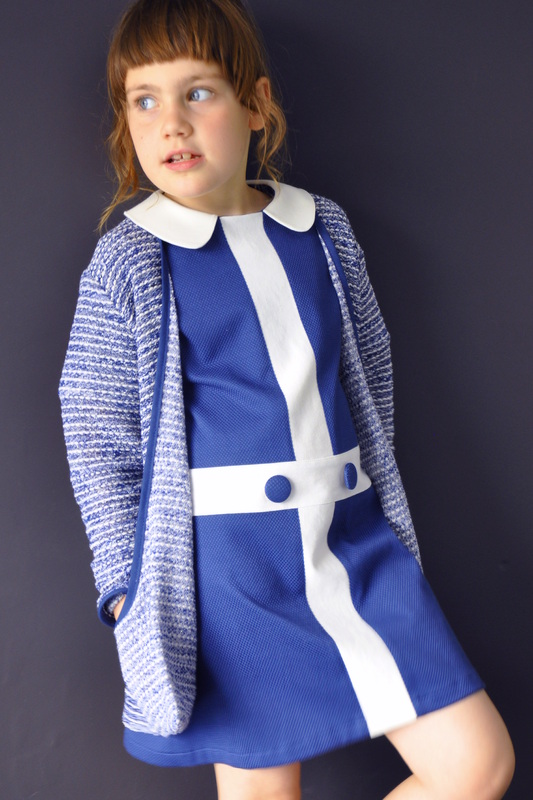 Pattern dress : Louisa Dress combined with the Ileana Dress. 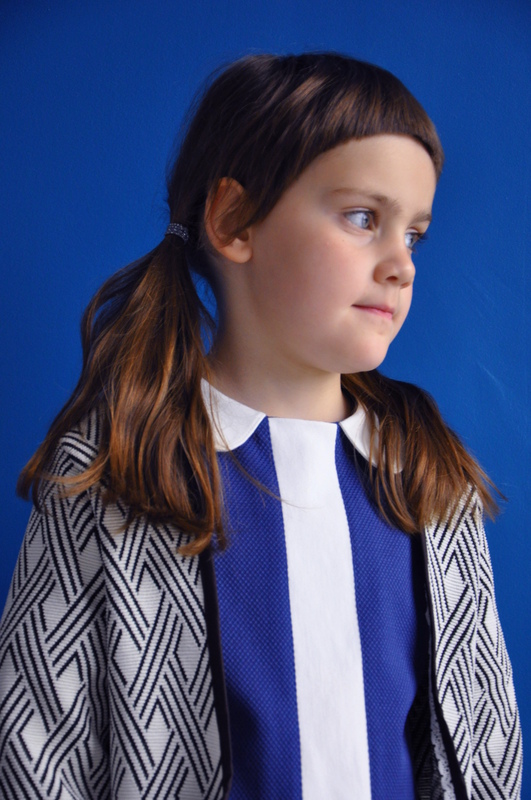 Pattern cardigans : Susanne for kids. 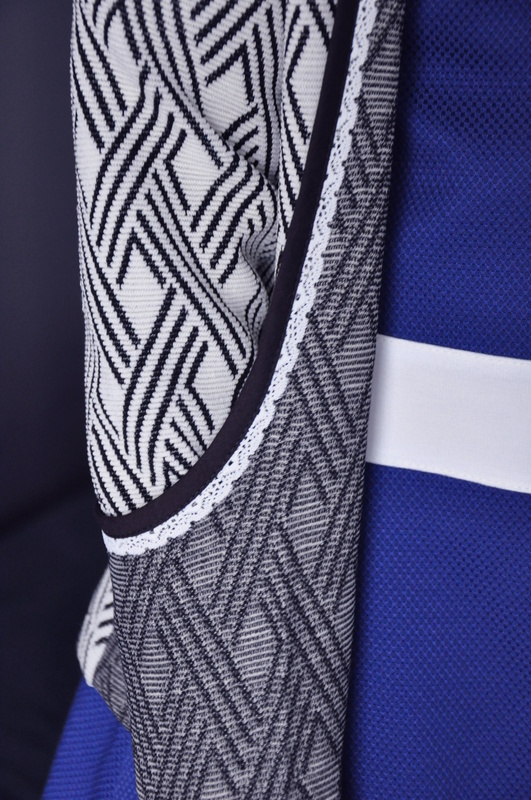 Fabric for the cardigans : blue woven knit and a black/white jacquard, both from the Stoffenkamer. Oooh, fan van de zwart-witte cardigan en het kleedje !!! Wat een geweldig hippe cardigans zijn dat! wow!!! Fantastic garments. So well sewn.